This issue features Imogen Cassidy’s ‘Soul Partner’, an urban fantasy gumshoe pastiche with some original touches, and Leife Shallcross’ creepy and engrossing ‘Music for an Ivory Violin’. Imogen Cassidy is a thirty-seven year old mother of two from Sydney, Australia, and is currently juggling full-time study and full-time parenting with part-time writing. 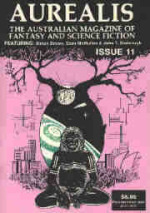 Imogen’s fiction has appeared in Devilfish Review and Yesteryear Fiction. Leife Shallcross lives with her family in Canberra and is actively involved in the Canberra Speculative Fiction Guild. Her work has appeared in two CSFG anthologies, Winds of Change and Next, and the latest Peggy Bright Books anthology, Use Only As Directed. Chris Large lives in Tasmania with his two wonderful kids. He’s currently completing an M.Sc. while intermittently exploring for gold in Macedonia. 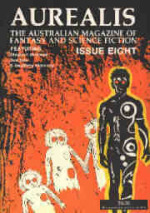 His story, ‘The Red House’, appeared in issue #58 of Aurealis. What makes a work of fiction good? It’s a simple question that doesn’t have a simple answer. If you don’t read in the genre, you’re unlikely to create an original, refreshing genre story. One idea is rarely enough to sustain a story. Many stories would be far better off if they were a third shorter. These are things that you can grasp hold of and do something about. It’s clear what to do: read extensively in the genre, get at least a second idea into your story, and cut your story by a third. Good writing. By this, we mean more than a simple facility with written English. Even though this is important, it should be a given, a basic expectation of any submission. Rather, we enjoy apposite language, sentences with flexibility and rhythm, dialogue that is alive with character and intonation, complexity of construction and stark simplicity used in the right times and places. Michael’s done a good job here, but it’s obviously much easier to be concrete about what you don’t want than it is about what you do want. How exactly do you get rhythm into your sentences? How do you get your dialogue to come to life? When precisely is the right time and place for stark simplicity? These are not easy questions to answer. The third and final possibility is that the manuscript in question is great. A home run. The kind of story that goes viral… when recognised by publishing experts (which is far from a guarantee), these manuscripts are snapped up by agents and go to auction with publishers. They command six- and seven-figure advances. The works are heavily promoted, and if the author is one in a million, they make a career out of their craft and go on to publish a dozen or more bestselling novels in their lifetime. Hugh Howey is actually making a number of points about self-publishing in this lengthy article (and that’s a fascinating discussion for another day), but what struck me was how easily he categorised works of fiction into ‘not good’, ‘average’ and ‘great’ as if these were easily verifiable categories. His assumption was that no individual on their own (regardless of how well-read they were, or whether they were publishing industry professionals or not) can be certain that something is good. He is saying that this knowledge can only come from the great mass of readers as a collective group. The people as a whole decide what’s good. Is this true? Is the best book the one valued highly by the most people? How do you measure what the mass of readers view is a great book? How do we know what they’re thinking? I’m not quite sure what Hugh intended here, but is he equating ‘best’ with ‘best-seller’. Does this mean, for example, that the best (not just best-selling) novel in 2012 was Fifty Shades of Grey? That can’t be right, can it? Or is the best book the one with most positive reviews? Or the best positive vs negative review ratio? Or the most downloaded regardless of price? How do we know there isn’t some masterpiece that everyone will instantly love which isn’t languishing somewhere through lack of marketing or by being over-priced or because it’s written in an obscure language that has relatively few speakers? The issue is complicated even further by the fact that people’s tasteschange. Works considered the best in a period in the past would often not find much of an audience if they were published for the first time today. I know many people who say The Lord of the Rings starts off much too slowly for them. They want more action. Even in more recent times, publishing trends wax and wane. Steampunk novels used to be ‘great’ not so long ago, and now they seem to be considered just ‘good’. ‘Goodness’ is an eternal quality, isn’t it? If ‘goodness’ is somehow determined by the vagaries of taste and fashion, does the concept have any meaning? Is there ever a true consensus about whether a work of fiction is good? Often a sort of group-think comes into play when a work becomes a mega-seller. People read something because other people have read it, and so on, and the book’s status becomes self-generating. But even in the case of these fabulously selling books, there is often a backlash against the work after it has reached a certain level of popularity, where a substantial group argue it’s grossly over-rated. Whose opinion is more valid? 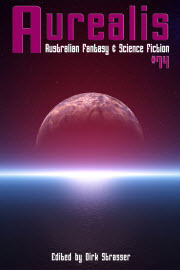 Michael, Stephen and I originally had a policy at Aurealis that a story had to get a ‘Yes’ from all three of us to get a spot in the magazine. We soon realised that if we stuck to this, we would only be publishing 3 or 4 stories a year. The three of us rarely agreed, so we had to change the criterion to two out of three ‘Yes’s’. 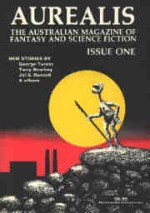 So, do we the editors of Aurealis know what makes a good work of fiction? Like most readers, we would like to think we do, but ultimately all that we can be certain of is that each of us individually knows what we like (and we’ve never passed on a Hugo-Award winner). For this issue we liked Imogen Cassidy’s ‘Soul Partner’, an urban fantasy gumshoe pastiche with some original touches, and Leife Shallcross’ creepy and engrossing ‘Music for an Ivory Violin’. 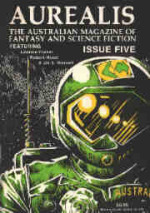 Chris Large brings some thoughtful silliness to the issue with his ‘When a Jedi Should Think Twice About Bringing a Knife to a Gunfight’, Stephen Higgins continues SF’s Sacred Cows by looking at Asimov’s Foundation, and our reviewers cast judgement on a number of works. You’ll obviously decide for yourself if what we’ve chosen is any good. I didn’t get a lot of opportunities to go east in my job—for some reason the beach wasn’t a hotspot of supernatural activity. I guess it could have been all that sun and sand, or maybe it was the combination of wealth and youth that stopped people from being upset about things like ghosts and spirits and the occult . Or perhaps in some cases they took it too seriously and didn’t want an actual practitioner like me mucking up their idea of how it should work—even after the magic came back there were still a lot of people out there who wanted to make their own interpretation of spirituality. The real occult avoided that sort of thing. I am awake. I realise that I am really awake. I must have slept a long while, for this waking has been one of stretching and creaking and rubbing movement back into bones that have lain still for too long. Yet, I feel so strange. When I am still and quiet, it is hard to remember anything. But, when I am roused, the memories return in a bitter flood. The things I remember are terrifying. I am so afraid. And so very, very angry.